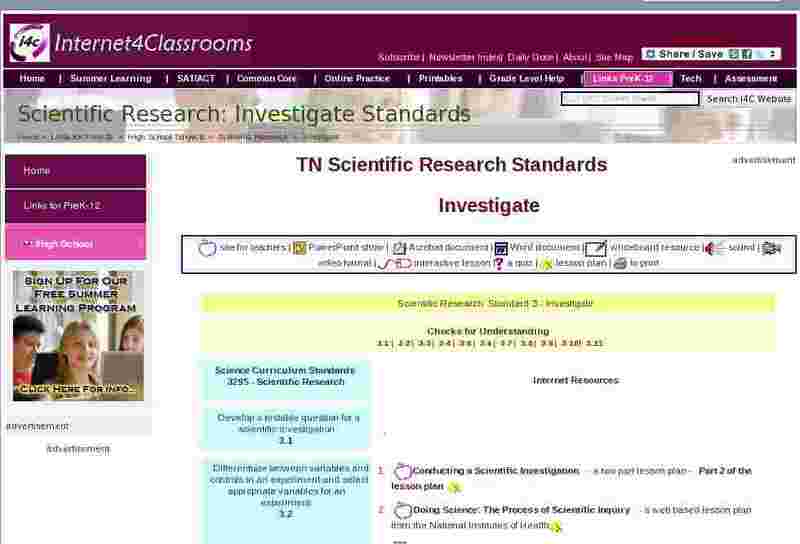 Develop a testable question for a scientific investigation. Differentiate between variables and controls in an experiment and select appropriate variables for an experiment. Develop an experimental design with proper application of controls and variables for testing a hypothesis. Design and use appropriate procedures for laboratory and fieldwork. Make correct use of scientific materials. Maintain a well-documented project journal. Modify or design an alternative experimental procedure to test a hypothesis. Apply established procedures to novel situations.